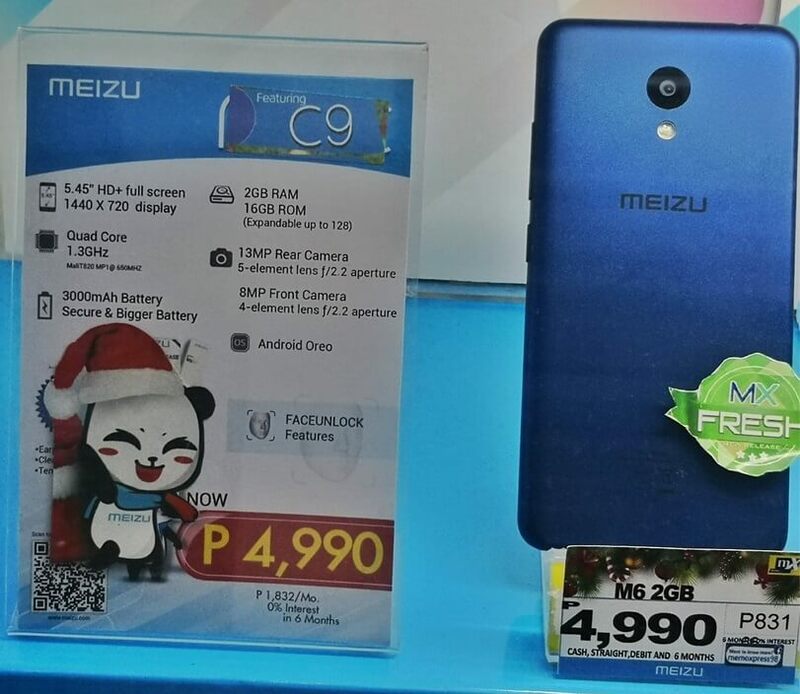 Meizu is still alive and kicking, showcasing three new phones before the year ends, one of which is now available for purchase - the Meizu C9. The Meizu C9 is an entry-level offering that boasts a 5.45-inch display with HD+ display and 18:9 aspect ratio. Under the hood, it is powered by 1.3GHz quad core Spredtrum SC9832E chipset paired with 2GB of RAM and 16GB of internal storage. This is the same silicon chip found inside the recently released TNT Starmobile PLAY Click LTE. Camera wise, there is a 13MP f/2.2 main shooter accompanied by an LED flash, and an 8MP f/2.0 front snapper for taking selfies. Other notable specs are Face Unlock feature, 3,000mAh battery, LTE connectivity, and runs on Android 8.1 Oreo. It is now available for purchase with an asking price of Php4,990. By the way, there is also a Meizu C9 Pro that packs 3GB RAM, 32GB ROM, and 13MP selfie camera, however, no info yet about its pricing and availability. It is a yay or nay? Share your thoughts in the comments section below.